I added the picture above to the message I've shared with you below. We live in an excessively unhealthy culture. We are constantly surrounded by victims. This is because we are all victims of an egocentric society, and hence victims of our own ego-attachment to such perspectives. I’ve written about transforming wounds into wisdom and victims into warriors. 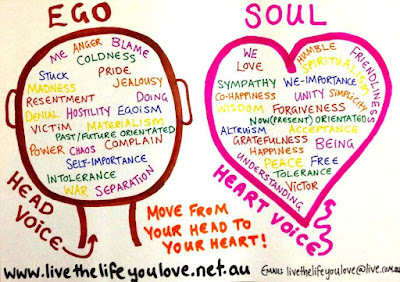 This article will analyze tactics for transforming Ego into Soul; to go from a state of instability to a state of impeccability. Exhaust the primitive. Nothing remains the same. The only permanence is the impermanence of nature. When we subsume nature we realize that we are nature. We realize that we are constantly changing along with nature. The only healthy response to an every-changing system is to be open to change. We do so by exhausting the primitive both within and outside us so as to shatter any and all illusions of tradition or permanence. I always hear this argument against the nature-based perspective: that the primitive is nowhere near as efficacious for the control of nature as our domesticated civilization. To which I retort: But of course, nature-based living may not be able to control the world, but at least it isn’t in any danger of destroying it. Our civilization controls the world up to a point at which it seems to be destroying it. 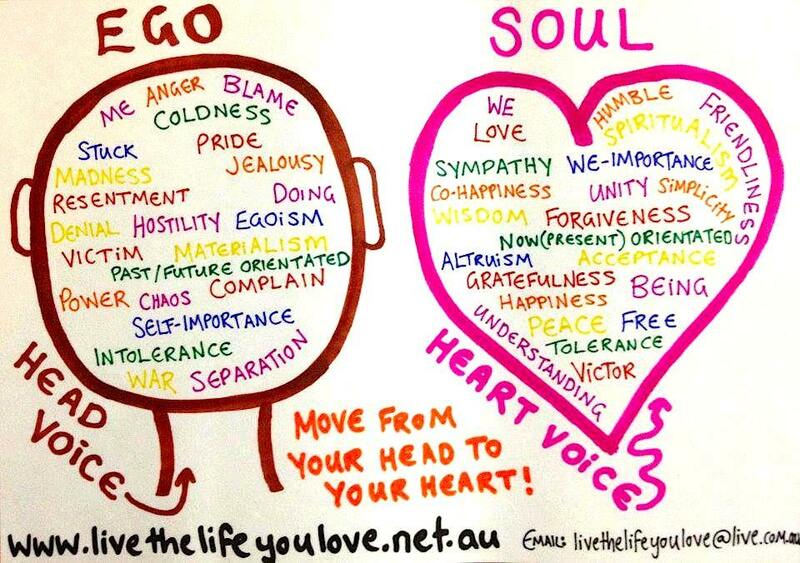 And so we have become the antithesis of man as human animal (ego), whereas nature-based man is the apotheosis (soul). When it comes to advice about life, my attitude is very simple: seek it out, absorb it, synthesize it, but when you are in the throes of living, forget it, and just live it. There is transcendence in letting go of transcendence. The daily rat race of chasing money for the sake of money has us all going through the motions of chasing each other’s tails through an indecipherable maze of one-upmanship. Let. It. Go! Live your life. Don’t let life live you. Sojourn with all things. Try your best to “walk a mile in their shoes” or “stand on the shoulders of giants.” If you can consistently do this, then your wisdom will become a force to be reckoned with. The reason is because of the interconnectedness of all things, cosmically, and our need for empathy, socially. We need each other. Our insecurity alone reveals that absolute fact. Empathy shrinks or expands in proportion to one’s vulnerability. Being vulnerable is constantly being in a state to receive new information without fear that it will change us; because it will change us. And that’s okay. Like Alexander Velazquez pointed out: “Buddha mapped enlightenment as the nautical ley lines to inner peace. Jesus walked on waves of self-sacrifice and plotted love as a way to helm the soul to salvation. Nietzsche rode against currents of religious piety—and in the face of that behemoth, sailed the breakers of nihilism to eternal joy. King sailed through channels of racial inequality and anchored western culture to paths of desegregation.